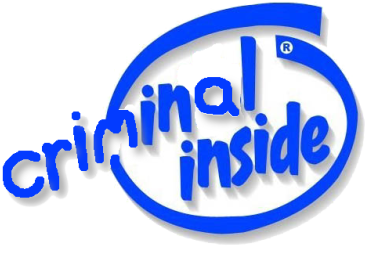 TECHRIGHTS has covered some of Intel’s criminal behaviour and also the lobbying for software patents. Intel has been awarded a patent that provides basic information about the company’s thread scheduling approach in multi-processor computers. Filed on March 26, 2007 the USPTO confirmed the rights to it earlier this week. So what is the crime? You never say.